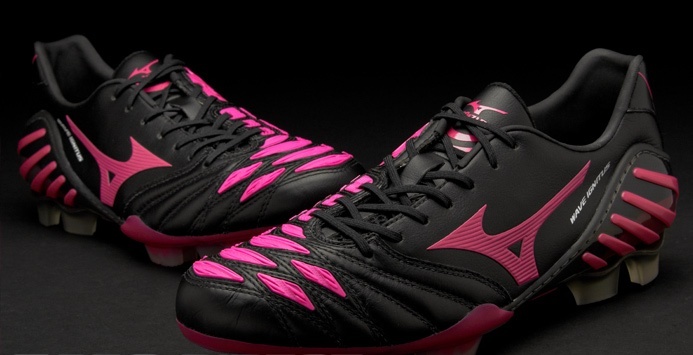 With an upper constructed from premium grade super soft K-leather for supreme comfort and touch, the Wave Ignitus 2 football boots incorporate a 360 degree Bio panel on the vamp for total control, power and precision where you need it most. 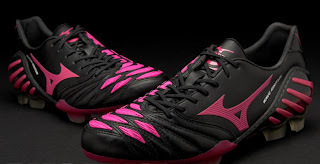 Grooves on the instep of these firm ground football boots provide the enhanced control and touch while deeper grooves on the forefoot of the Wave Ignitus 2 produce added spin for more deadly deliveries. 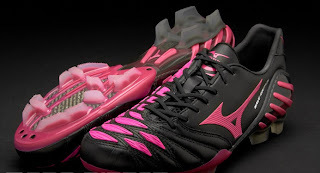 Mizuno's patented Dynamotion Fit design means the Wave Ignitus' technology is seamlessly integrated into the upper of the football boots offering less friction and a better fit. Featuring a moulded stud configuration that increases flexibility and reduces stud pressure, these Mizuno Wave Ignitus 2 football boots are ideal for use on firm ground surfaces.